THE 34 years experience of Left Front government in West Bengal is a unique experience in moving forward in an untraversed path. The formulation of alternative policies and their implementation within the structural limitations were all accomplished through a daunting task. Left Front, in its manifesto for the ensuing assembly elections, has reiterated its commitment towards emancipation of the toiling people and proceed to achieve new goals. The manifesto is a working document, written in the backdrop of negative fallouts of neo liberal policies in the country. The unbridled market forces have resulted in marginalisation of millions. Safeguarding the interests of these sections and the poor people will be the focus of the eighth Left Front government in West Bengal, the election manifesto asserted. The manifesto has mentioned about three most important goals of the eighth Left Front government. First and foremost is to elevate the standard of living of the families below poverty line. Employability of these sections will also be a priority. Secondly, the eighth Left Front government will aim to take West Bengal to a leading position in the country on the basis of three human development indices ie, purchasing power, education and health. Thirdly by extending agriculture, industry and other different services, the eighth Left Front government will work for the employment and income generation of the poorest 40 lakh families of the state. Altogether this will formulate the direction of the comprehensive development of West Bengal. The manifesto elaborates ten specific programmes to attain these three fundamental goals. It says that people having family income of below Rs 10, 000 will be provided rice at Rs 2 per kilo. Some daily necessities like pulses, sugar, edible oil, cloth and biscuit will successively be put under the purview of the public distribution system. To prevent distress sale by the farmers, the state government will buy rice from within the state by giving them assistance price. To provide cooked food for the helpless poor families, the ‘sahai’ (assistance) programme will be further extended. Besides carrying on the programme of distributing land, multistoried buildings will be constructed for the displaced and homeless people. In the urban areas, same types of buildings will be constructed in the project of giving land for dwelling. Security, provident fund scheme, insurance and social protection of all contractual staff, unorganised labour and farm based labour will be further extended and will include all concerned people. Allowances for the poor people will be increased both in amount and number of recipients. The government will also ensure the strict implementation of announced reservation in educational field and work places. To lower down the school drop out to less than 1 per cent, the government will provide financial assistance. Along with it, all girl students up to class XII including the tribal, schedule caste, other backward communities and minorities will receive special allowances for dress and cycle successively within five years. Students of class XI and XII residing more than five kilometers away from their school will get to travel in government and private buses once a day. The eighth Left Front government will draw up and implement an Act on public health. The common people will get free treatment through insurances and health protection schemes under this Act. The government will also identify the common and life-taking diseases. All poor families of the state will be brought under health insurance and the government will pay the premium to the insurance companies. Within the next five years every district will have at least one medical college and nursing college. The eighth Left Front government will constitute a special power mission to supply safe drinking water for each family. All families will also get toilets. Every big village and urban slum will be connected by concrete road. Other roads of the villages will also be concretised successively. Besides planned urbanisation, a special committee will be constituted for consolidated development of the slum areas. Every home will get electric connection. Every pump set used for agriculture will get electric connection. If those pump sets are used between the stipulated time announced by the government, the electricity charge will also be subsidised. To meet the demand of electricity in industry and other sectors, the generation of electricity will be increased to further 4000 megawatt. The eighth Left Front government will work out the procedures for eliminating the existing barriers in the process of offering government services to the common people. To ensure the commitment to the people, necessary administrative reforms will be executed. The annual performance of the cabinet ministers will be evaluated and necessary actions will be taken as per that. All administrative stratums have to be free from corruption. In all the stages, administration and police have to convene all party meetings. They have to listen to the suggestions and advice of the peoples’ representatives. 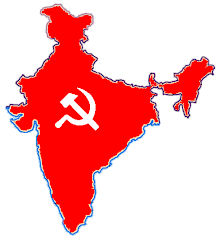 The manifesto of the Left Front also declares that the eighth Left Front government will double its fund allocation for the development of the tribals, schedule castes, other backward communities, minorities, refugees, women, north Bengal, Sundarbans and Pashchimanchal area. Programmes will also be chalked out for hands on work of the people of these sections. Other programmes include strengthening agricultural production, towards industrialisation to generate ten lakh jobs, development of the self help groups and development of planned cities. The Left Front will also continue to project alternative policies against the anti-people measures of the centre. It will struggle for devolution of 50 per cent of central taxes to states and restructuring of centre-state relations. It will also try to mobilise all state governments towards achieving these demands. Purulia: was West Bengal's LF regime the target?